OK, OK, before you get excited, no, there is not a new Harry Potter book called the 'Spells of Dyslexia'. But if you have dyslexia and struggle to read standard books then there is some good news for you! 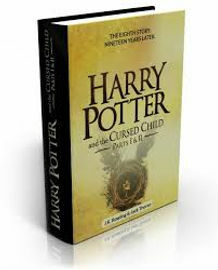 The Times reported today that J.K Rowlings latest works, Harry Potter and the Cursed Child is to be published in a dyslexia friendly version. This version of the eagerly awaited book, is apparently being printed with blue text printed on a beige, slightly thicker paper, with larger letters, wider margins and a simple sans-serif font throughout. It is thought that this format will make it easier to read for some people who's reading abilities are affected by dyslexia. So what are your thoughts about this? 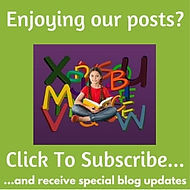 Have you read a great book in a dyslexia friendly format that really worked for you? I would really like to share your suggestions for good dyslexia friendly books, so please make a comment at the bottom of this post so that others can get to read great stories that perhaps they may not have read before.